Fiberglass pools near Salt Lake City bring quite a bit to the table, but it’s up to you to make sure they last for as long as they can. Avoid using harsh chemicals when cleaning, invest in a pool cover to keep it protected during the offseason, and call a pool contractor for regular maintenance and repairs. All it takes to make the most of your pool is a little bit of maintenance, foresight, and planning, so continue reading for tips. 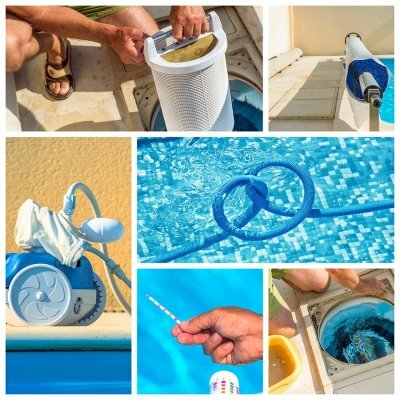 As simple as swimming pool maintenance can be, doing it without any research can make the whole process much more complicated. 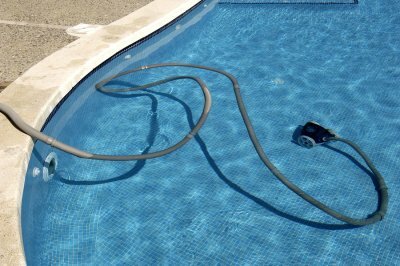 You need to clean your pool regularly, but you also need to make sure you’re using the right cleaners. You might think that harsh cleaners do a better job, but they can have a negative impact on your fiberglass pool. The wrong kind of cleaner might damage your fiberglass and scratch the walls of your pool, requiring costly repairs that could have been avoided. Use gentler cleaners for swimming pool maintenance, and remember to skim leaves and debris from your water on a routine basis. Although there are some regions where you can keep your pool open all year long, the rest of the world deals with different circumstances. When the last pool day of the year is in the rearview mirror, close your pool up with a cover. Pool covers keep things like bugs, leaves, and bird droppings out of your water and off your pool walls. If you cover up your pool at the end of the season, you’ll have less maintenance to deal with when you open it up again. Many homeowners diligently care for their pools throughout the year, but they might still run into questions. When you work with a team of swimming pool maintenance professionals, you can have all those questions answered immediately. They’ll also take care of the process for you, so you won’t even have to lift a finger if you don’t want to. 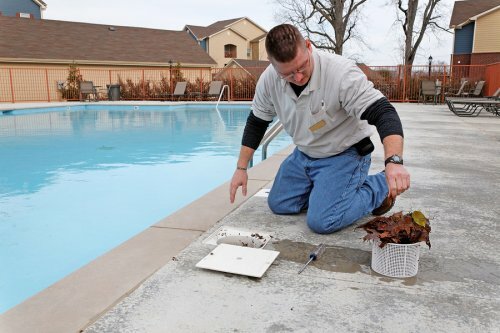 During the off season, it is crucial to maintain your pool, whether you are using it during the winter months or not. Even if you use your pool heater or have an indoor swimming pool near Salt Lake City, the tips found in the attached video will prove helpful. Continue reading to learn more about maintaining your pool during the off season. 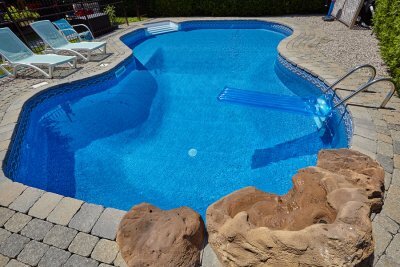 Consult with your pool contractor to ensure you are caring for your pool correctly. Your contractor can help you drain your pool or hot tub if you choose. If you go this route, ensure there is no water in your filters, hoses, or any connections, because these can freeze and break during cold weather. If you keep your pool filled, then clean debris regularly, and ensure your pool covers do not become weighed down with snow, rain, or debris. You know that swimming is fun and a great cardio exercise. However, you might not know that you can use pool exercises to target and tone certain muscles—even in small pools. After you’ve scheduled swimming pool installation in Salt Lake City , you can start learning different exercises to help you get in shape. This video clips shows you how to perform exercises that target your legs. Jumping jacks, scissor kicks, and crisscross jumps are all great options for toning your legs. The water in the swimming pool will offer resistance as you kick, helping to increase the effectiveness of these exercises. Don’t forget to schedule regular pool maintenance after your pool installation is complete to ensure that you’re always ready for a pool workout.